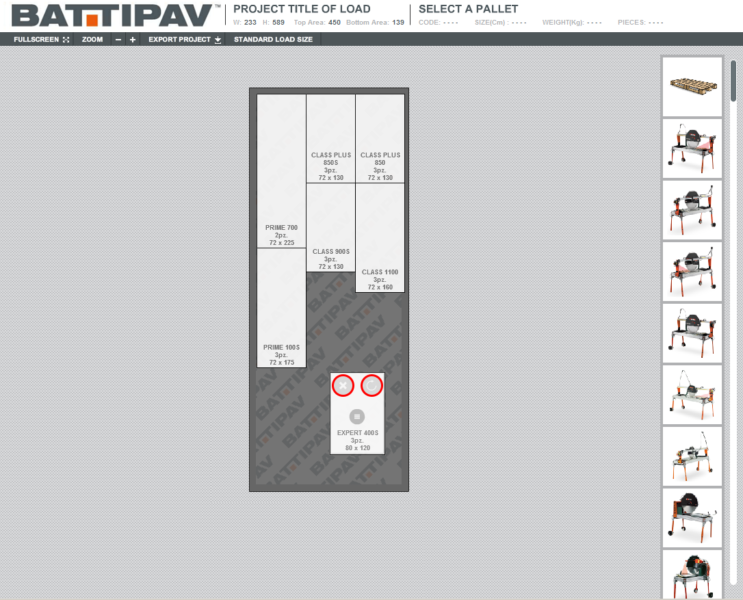 To assist customers who normally purchase container (20 “and 40″) or complete trucks of BATTIPAV goods, we have created an application within our website that allows you to place the pallets on the loading surface, giving the possibility to the user to immediately see how much space remains unused. Whereas the transport represents a cost to the importer, with this app you can minimize it by eliminating gaps in the load. 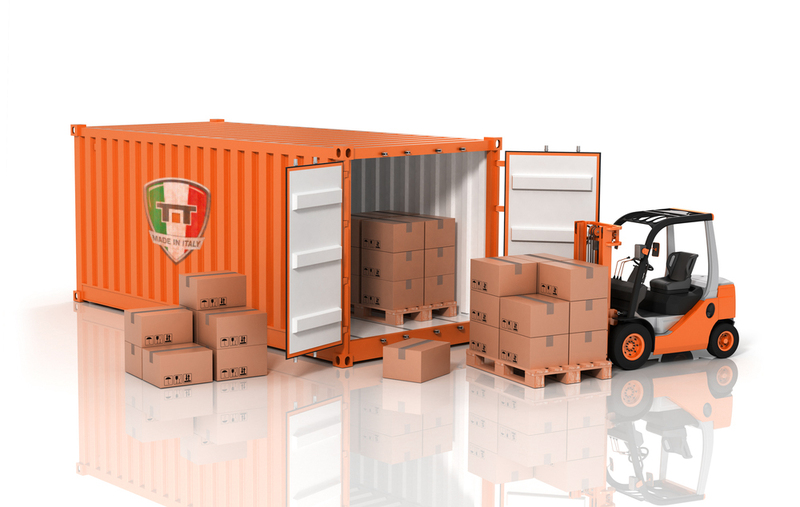 As soon as you go through the web page, you are asked to select the size of the loading platform of: 20″, 40” container, full truck or you can select dimensions (width and height) in the case of a groupage. After the selection of the base of the load floor, you are able to see in the middle of the screen the plant area, in the right side of the page you can find all the products in the catalog, taking in consideration the maximum amount of machines storable on one pallet. At this stage you drag the selected pallet from the right side to the middle. With the function you can rotate the pallet, while with the function you can remove it. Once you finished the load, you can notice at the top of the page how many centimeters of available area are still missing and the total weight of the load. The customers may also give a name to the order (for ex. customer name and date), the final step allows you to export an image file (see button) and here it is your load!! We hope to always satisfy at the best the requirements of our customers, we are at your disposal for any kind of suggestions and improvement proposals. Play now the training video!